Aerobats. Daredevils. Show-offs. The bounding, athletic flight the Common Nighthawk makes for an impressive spectacle in late summer twilight, when groups of these birds swoop to catch insects in midflight. In the last two weeks of August into early September, these birds power across Massachusetts on hooked, falconlike wings. Nighthawks pause during migration to gather and feed near the edges of open fields, making them easy to observe on their way South. Two Common Nighthawks streak through the sunset light in Cambridge, MA. Composite image by Will Freedberg. Nighthawks are totally unrelated to hawks, a group with which they share very little. As members of the nightjar family, nighthawks look similar to the closely-related Whip-poor-will when perched on the ground. In the air, they appear totally unique, agilely swooping and diving in continuous flight. While springtime brings modest numbers of nighthawks to New England, they show up in much greater numbers on their southbound migration. Nighthawks feed on flying ants, which hatch here en masse in late summer, to fatten up before making the long trip to South America. In spring, when insects are scarce, most nighthawks take a more direct route around Massachusetts to their breeding grounds. Don’t miss the three-week window for seeing migrating nighthawks this year! Here are some tips for finding them. Just before sunset, nighthawks often emerge around grasslands and big fields. Near Boston, nighthawk hotspots include Millennium Park in West Roxbury, Rock Meadow in Belmont, and Heard Conservation Land in Wayland. In the rest of the state, any open hilltop or good vantage point near a river will do! Nighthawks use river valleys to navigate. While any open field is apt to produce a nighthawk sighting at dusk in late August, rivers running North-South tend to concentrate nighthawks in impressive numbers. In the Connecticut River Valley, this can mean over a thousand birds streaming by over the course of the evening—although such a spectacle doesn’t happen every year. This program will begin with an indoor presentation about each bird before heading out to search the sky for nighthawks and swifts. Search the evening sky for migrating nighthawks at Canoe Meadows. With luck, you’ll be able to observe these beautiful aerial acrobats catching insects on the wing. This event is free. 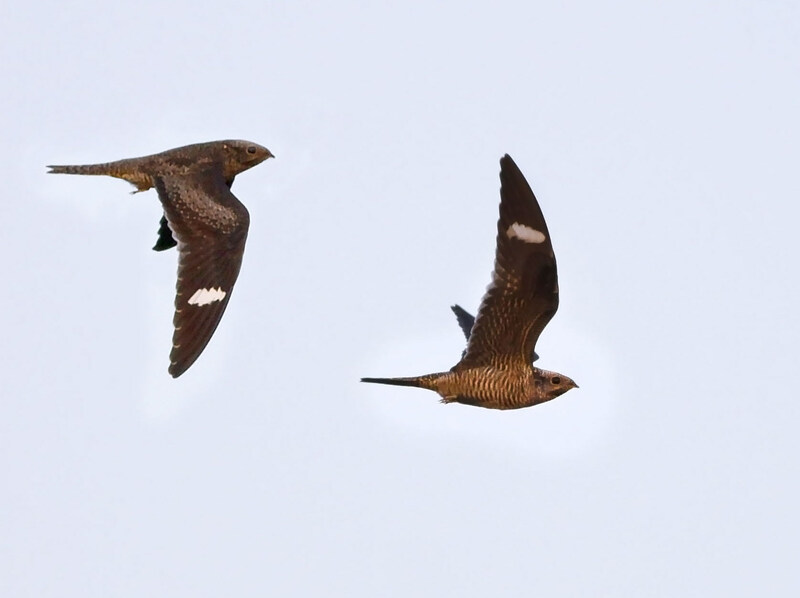 Learn about nighthawk adaptations, ecology, and how to look for feeding behavior, while witnessing their migration flight. Open vistas along the Sudbury River offer perfect vantage points from which to scan the sky for nighthawks. The group will explore the marsh, grassland and orchards for other fall migrants. This entry was posted in Birds and Birding and tagged aerial insectivores, bird-finding guides, Common Nighthawks, finding birds, how to find nighthawks on August 8, 2018 by William Freedberg.